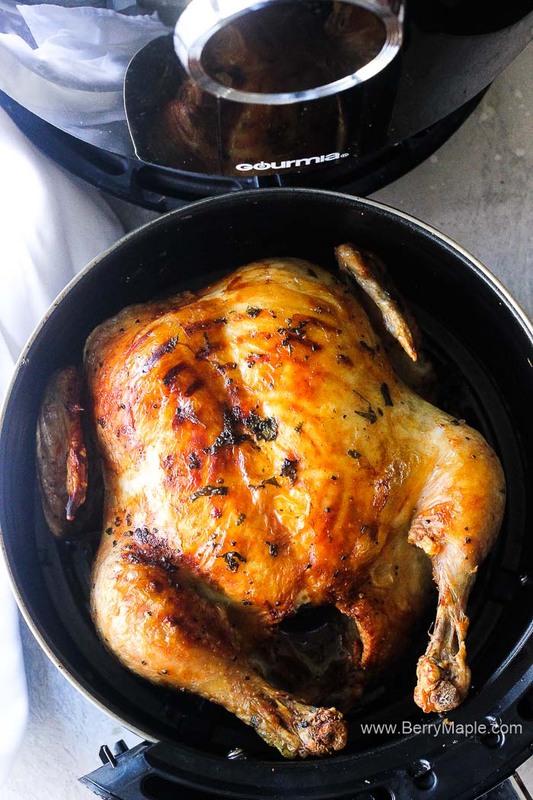 Healthy air fryer best whole chicken recipe rotisserie style! 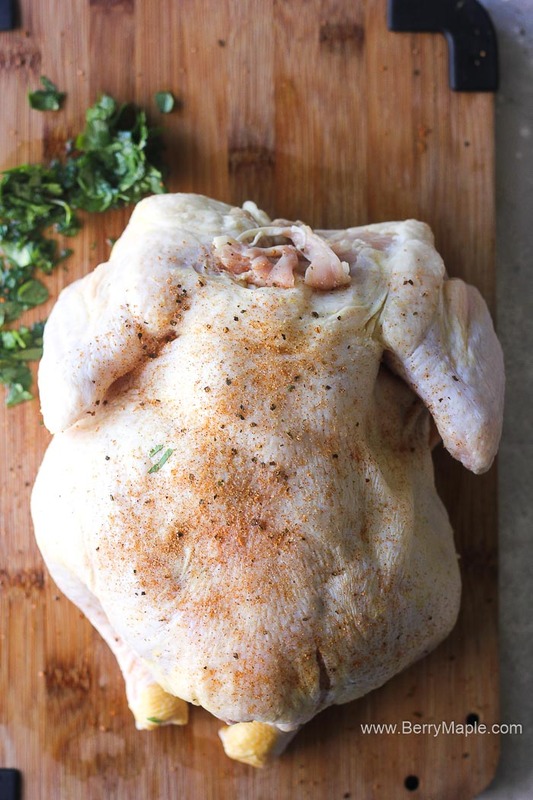 Crispy skin and juicy meat, this recipe is paleo, keto and whole30. Great beginner recipe, easy and fast. 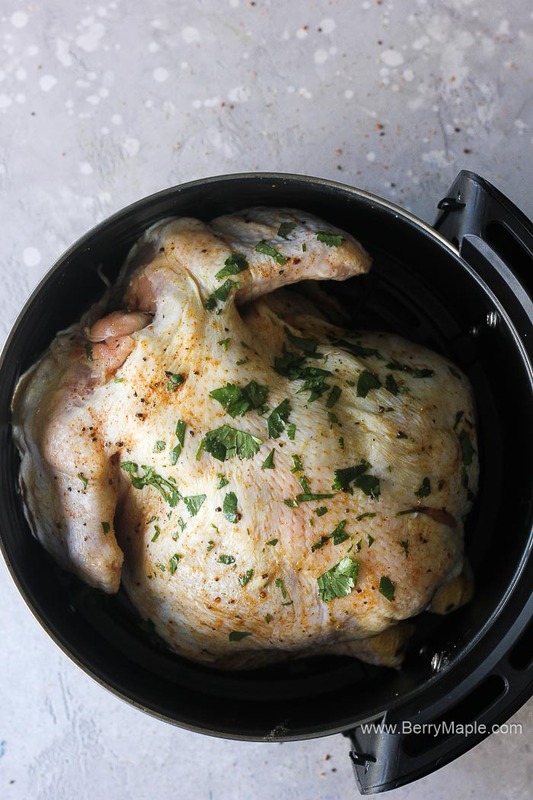 Yes, you can make a whole chicken in the air fryer! For this recipe i used a 5 pound bird. If you feel that it will not fit, you can tie the legs and push them down a bit, this should help. This recipe is very flexible, you can use your favorite blend of spices and pretty much any amount. 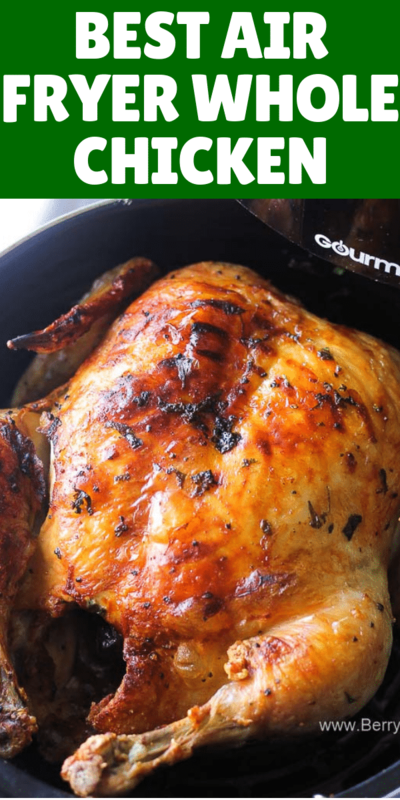 You can make this air fryer whole chicken in in Nuwave, Philips, XL Power fryer or pretty much in every air fryer. 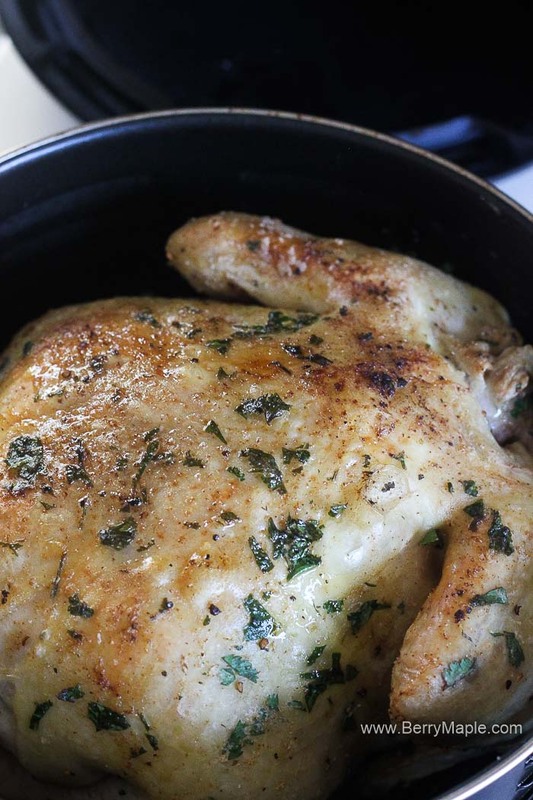 Before making chicken i tried to cook cornish hen and it turned out perfect! That encouraged me to try a bigger bird. Feel free to use your own measurements or even make it spicy! This is how the chicken looked half way roasted. Then i flipped it to make it breast side up (be careful doing that, use thongs and a fork at the same time, plus its very hot). I also chopped some fresh cilantro and rubbed chicken with it- for extra color and flavor. 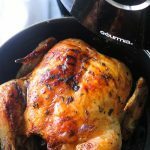 Healthy air fryer best whole chicken recipe rotisserie style! 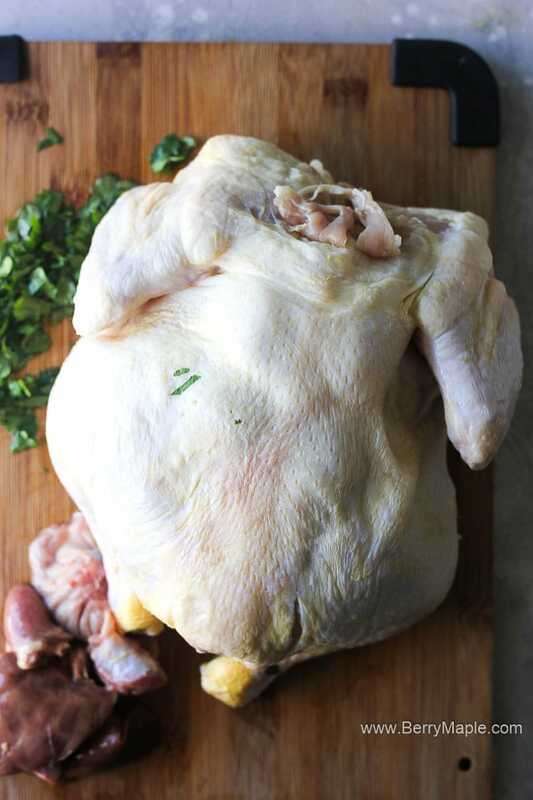 Crispy skin and juicy meat, this recipe is paleo, keto and whole30.Great beginner recipe, easy and fast. Preheat air fryer to 360F. Wash th chicken and remove giblets. Rub with the blend of spices (and cilantro) and place in to the air fryer basket breast side down. Cook for 30 minutes and them carefully flip and cook for another 30 minutes.